« முஹம்மது அமித் அன்சாரியை விட்டால் வேறு எவருக்கும் உதவி ஜனாதிபதியாக தகுதியில்லையா? This entry was posted on ஓகஸ்ட் 9, 2012 at 1:48 முப and is filed under அடையாளங்காட்டிய சாட்சி, அரசியல், அவதூறு, இத்தாலி, இந்திய விரோதிகள், இந்தியதேசிய கீதம், இந்துக்கள், இந்துக்கள் எங்கே, இளமை சோனியா, உடன்படிக்கை, உள்துறை அமைச்சர், உள்துறை உளறல்கள், எட்விகெ அன்டோனியோ அல்பினா மைனோ, ஓட்டு, ஓட்டு வங்கி, கட்டுப்பாடு, கபட நாடகம், காங்கிரஸின் துரோகம், சிகப்புப் புடவை, சிதம்பரத்தின் குசும்புகள், சிதம்பரம், செக்யூலரிஸ வியாபாரம், செக்யூலரிஸ ஹியூமரிஸம், செக்யூலரிஸம், செக்யூலார் நகைச்சுவை, சோனியா, சோனியா காங்கிரஸ், சோனியா மெய்னோ, சோனியா மைனோ, திக் விஜய சிங், திக் விஜய் சிங், தேசத் துரோகம், தேசத்துரோகம், தேசவிரோத காங்கிரஸ்காரர்கள், தேசவிரோதம், தேசிய கொடி, தேர்தல், தேர்தல் பிரச்சாரம், பங்களாதேஷ், மத வாதம், மதம், மதவாதி, மதவெறி அரசியல், முஸ்லீம் ஓட்டு, முஸ்லீம் ஓட்டு வங்கி, மொஹந்தி, ராகுல், ராஜிவ், வாக்களிப்பு, வாக்கு. You can follow any responses to this entry through the RSS 2.0 feed. You can leave a response, or trackback from your own site. அப்படியாவது காங்கிரச்காரர்கள் தெளிவடைவார்களா, உருப்படுவார்களா என்று பார்ப்போம். அதுவும், சொல்பவர் சொன்னதால்தால் கோபம் வந்துள்ளது, இல்லையென்றால் துடைத்துக் கொண்டு போயிருப்பார்களே? ராகுல் விவரமாகத்தான் சொல்லியிருப்பது தெரிகிறாத், “அத்வானி பேசுகிறாற் என்றால், அவர் என்ன பேசுகிறார்” என்று அவருக்குத் தெரிந்தேயிருக்கும்”, என்றதிருந்தே தெரிகிறது. 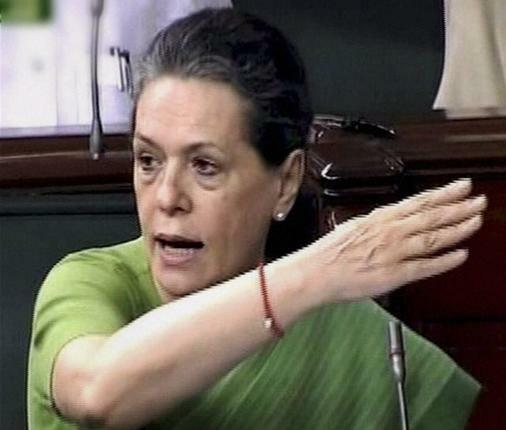 NEW DELHI: Seeking to recover from the embarrassment it suffered on Wednesday when an angry Sonia Gandhi forced L K Advani to withdraw his provocative comment questioning UPA-2’s legitimacy, the BJP tried to get its own back at Congress. Party spokesperson Ravi Shankar Prasad on Thursday sought to mock the Congress chief for her rare show of aggression, saying she had not been similarly assertive in checking corruption in the government. 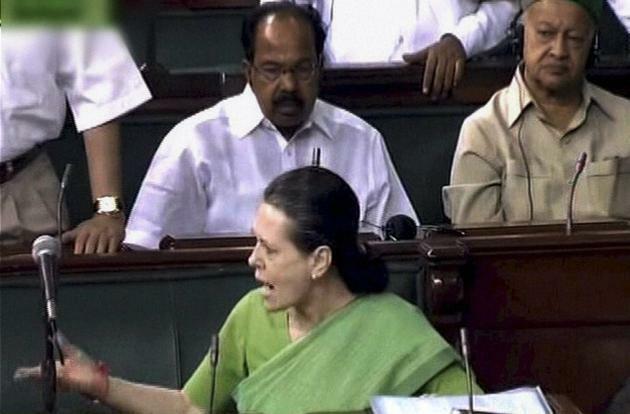 The Advani-Sonia skirmish happened on Wednesday during the debate in Lok Sabha on the ethnic violence in Assam. The BJP veteran had started off well but ended up giving an opening to Congress by making a remark which he could not defend and was forced to withdraw. Prasad, who is also deputy leader of the party in Rajya Sabha, seemed to be seeking to counter the perception that the proceedings in Lok Sabha had hindered the opposition’s effort to corner the government in the monsoon session. He criticized the Congress chief for not ensuring implementation of the Assam Accord that her late husband Rajiv Gandhi had signed with student leaders of Assam who spearheaded the popular agitation against influx of illegal Bangladeshi immigrants in the 1980s. “If she does not reply to the question or make her stand clear, it will be a clear case of vote bank politics,” Prasad added. “This (not implementing the accord) is a gross case of abuse of power for vote bank politics,” Prasad said. No steps were taken by successive governments from 1985 to 1997 to implement the accord, Prasad said and insisted that had this been done, the present scenario would be very different in Assam. He pointed out that the controversial Illegal Migrants (Determination by Tribunal) Act, 1983, was scrapped by the Supreme Court and as per the accord, detection would be done on the basis of the Foreigners’ Act of 1946 which puts the onus of proving citizenship on the individual. Shekhar Gupta: I am at New Delhi’s Assam Bhavan on Rajiv Gandhi’s birth anniversary. My guest today is somebody who is a political adversary of Rajiv Gandhi’s party but remembers him fondly for a very special reason. Prafulla Mahanta, this is also the 25th anniversary of the Assam Peace Accord that you signed with Rajiv Gandhi. Take us back 25 years. Prafulla Mahanta: We were student leaders then and you know there was a feeling amongst the people of the Northeast region, mainly Assam, that we had become a minority in our own home due to infiltration from Bangladesh. Prafulla Mahanta: Yes, East Pakistan before that. Therefore, we started the Assam Movement and then after six years, then Prime Minister Rajiv Gandhi invited all of us. Shekhar Gupta: Many people may not remember what a tough movement you ran. Because you blocked supply of oil to the rest of India for many years. You shut down the refinery. When the government called for a curfew, you called the whole city out. Prafulla Mahanta: Yes, people broke the curfew because they felt that if the government was not coming out to protect them from foreign infiltrators, then who would save them? Shekhar Gupta: So, when Rajiv came to power, India faced two big challenges—on two flanks. One in Punjab and one in Assam. Assam had those disastrous elections of 1983, seven thousand people were killed, the Nellie massacre. You were still a student leader and very young. How did he reach out to you and what happened? Why did you trust him (Rajiv)? You didn’t trust Mrs (Indira) Gandhi. Prafulla Mahanta: Yes, because at that time Mrs Gandhi was the Prime Minister of our country and the discussion broke down because we requested her not to hold elections in Assam in 1983 without deleting the names of the foreigners from the electoral roll but Mrs Gandhi was adamant. 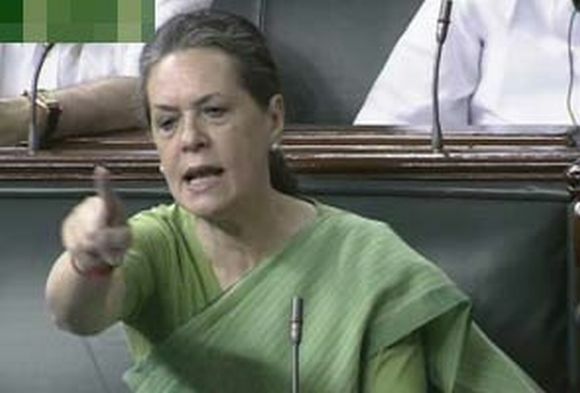 She declared elections in Assam and when we returned to Assam, all our leaders were arrested. Leaders of the All Assam Students’ Union (AASU) and the Gana Sangram Parishad were also arrested and put in jail. It entered people’s mind that somebody had created this conspiracy. Shekhar Gupta: Who could it be? Prafulla Mahanta: Generally some agents or agencies of the Congress at that time. And therefore, when we were released, we met all sections of people, held rallies, held public meetings. We built confidence among both Hindus and Muslims after 1983. And in the 1983 elections, people did not come out to cast their votes but the Congress put up their candidates. They only got 15 votes, 20 votes. And the election machinery declared that they were elected. Shekhar Gupta: But why did you trust Rajiv Gandhi when you didn’t trust Mrs Gandhi? Prafulla Mahanta: Because he was a young prime minister and probably wanted to do something for the country and especially for the Northeast. He gave his attention to solving this problem. He sent a direct invitation for negotiation with the movement’s leaders. We participated in the negotiation and he came forward and told us to find a solution and that he will help us implement it. So, we trusted him. We thought he was a dynamic prime minister and would do something for the betterment of our country, for our security, sovereignty and integrity. Shekhar Gupta: I remember I covered the election that resulted from your peace accord and you became a political party from being a student organisation. You swept that election but very often, the slogan was ‘Congress party murdabad, Rajiv Gandhi zindabad’. 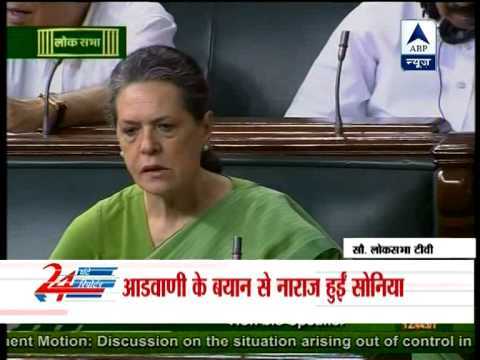 Prafulla Mahanta: Probably, his attitude was different from other Congress leaders of that time. He signed the Assam Accord beyond his party line. Shekhar Gupta: So, he did go beyond his party line? Prafulla Mahanta: Yes, therefore, we trusted him. At that time, that was the reason for trusting him. We believed he would do something for the security and for the unity of our country, especially in the Northeast. Shekhar Gupta: While he was prime minister, you thought he made a sincere effort to deliver on it? Shekhar Gupta: …the forefront. He was not in the right frame of mind. Then you lost your faith in the Congress party after that, in Rajiv? Prafulla Mahanta: No, we had faith in the prime minister of our country, in Rajiv Gandhi as a young prime minister. But not in his party. Because his party colleagues were different. He (Rajiv) also invited us to join the Congress, but we decided not to join the Congress. Prafulla Mahanta: Yes. We told him frankly that we were not going to join the Congress, but for the sake of the development of our country, we were going to extend our hand. Shekhar Gupta: I know you are very much exercised about the state of implementation of the Assam Accord. If you look at the Assam Accord, you can see that almost everything has been implemented except one—but that is the most important—the deportation of illegal immigrants. But yet, it’s remarkable that all the other things—from building an IIT to more bridges on the river, to roads, economic development—have been delivered. That’s quite remarkable for India given the history of our accords and settlements. Prafulla Mahanta: Things have been implemented but the main issue—detection of foreigners and deleting their names from the electoral rolls and deporting them to their country—has not been done until now. Because legally, we were not able to do it. Shekhar Gupta: Why did that not happen? You were chief minister for a long time. Prafulla Mahanta: Because the state government has no power, only the Central government can have a diplomatic arrangement on this issue with Bangladesh. 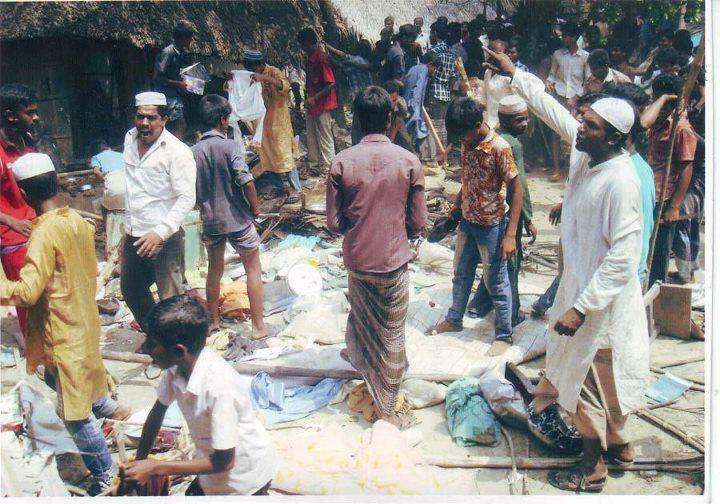 At that time, there was a hostile government in Bangladesh. Now there is a friendly government. Therefore, we hope that now if the government takes an initiative, it will be able to convince Dhaka to take the burden off these people. As per the clause of the Assam Accord, the Central Home Ministry is the nodal ministry to implement the Accord. Therefore, the Home Ministry should come forward. For the last few years, the Home Ministry has not come forward with sincerity. So the implementation of the Assam Accord was delayed. On the other hand, there is an insurgency problem in the Northeast, which creates a lot of trouble. In 1996, the day we took over the government, the chief secretary, the home commissioner, finance commissioner, all fled. Shekhar Gupta: The big turnaround in Assam came when you decided to fight the ULFA, which is why you have to be surrounded by commandos for the rest of your life. Prafulla Mahanta: The insurgent groups are those who want an independent Assam, which is not possible because people in mainstream Assam want to live with India. Assam is the heart of the entire Northeast. And therefore, we oppose it. Shekhar Gupta: You never had any doubt on this even when you were leading the students’ movement, that you had to be a part of India? Prafulla Mahanta: No doubt. But probably some groups instigated insurgent groups to demand an independent Assam. We arrested five or six ISI agents, one belonged to Jammu and Kashmir. From their documents, it came to light that they were training the people of Assam and Northeast to secede from India. Shekhar Gupta: You know, I’m pushing this point because when you were leading the agitation, there was a widespread feeling in many parts of the country and even the government that you were anti-national, that you were separatist people. Prafulla Mahanta: That it not true because people of Assam, from the time of Independence and from the time of the freedom struggle, have remained with India. And you probably have heard of that remarkable sentence of Mahatma Gandhi. He told Bordoloi (Gopinath Bordoloi, Assam’s first CM) that if people of Assam want to live with India, then nobody will be able to hand you over to East Pakistan. Because at that time, somebody conspired to annex Assam with East Pakistan. Shekhar Gupta: So you and your colleagues in AASU never had any doubts in your mind that you were Indian nationalists. Prafulla Mahanta: There is no question on it. Shekhar Gupta: Because for the rest of the country, the eye-opener was when you fought ULFA, even more strongly than the Congress had fought ULFA. What happened? Prafulla Mahanta: We appealed to (the ULFA) to come to the negotiating table. If they thought we could not solve their problem, then let them talk with the Central government. Because we wanted to build Assam and we wanted to solve the problem permanently. Shekhar Gupta: What led to the rise of ULFA? What led to the rise of a separatist movement in Assam, an armed separatist movement? Prafulla Mahanta: The armed separatist movement was inspired by the NSCN (Nationalist Socialist Council of Nagaland). At that time, the NSCN was the mother organisation of all the insurgent groups of the Northeast. Later, people from other sections also joined and their thinking became different and they took help from a foreign country also. Shekhar Gupta: Prafulla, you fought the ULFA hard. So, there are still stories about what is called the secret killings in Assam. That you organised the killings of ULFA leaders, family members, many of them in custody or extra-judicial killings. Prafulla Mahanta: No we didn’t allow extra-judicial killings. If the insurgent groups attacked our forces, then they (the forces) must have the right to respond. The interesting thing is that when insurgent groups kill innocent people, then some human rights organisation creates a hue and cry, but when these insurgent groups kill the family of the forces and other innocent people, then they don’t. They don’t stand with them. This is very unfortunate. Shekhar Gupta: You are very young—you are in your early 50s. You have been chief minister twice. You have been in jail many times, you have been tortured, there was an attempt on your life. You’ve had a government dismissed—by Chandrasekhar. You’ve allied with the BJP, you’ve allied with the Left. You’ve done many things at a very young age. Prafulla Mahanta: Yes, we want Assam to be developed, which can contribute to unity and to protect the sovereignty of our country. Shekhar Gupta: And you’ve been called both anti-national and a hyper-patriot who carries out extra-judicial killings. Prafulla Mahanta: For the sake of our country, to safeguard the security of our country, we are ready to take any blame. But this is unjustified. We are not indulged in such type of things. To malign me, they level such charges. Shekhar Gupta: You have seen the extremes. So let me take you to the last extreme. All of you were student leaders—you, Bhrigu Phukan, Digen Bora, Nagen Sarma. All of you fell apart. Many joined other parties. 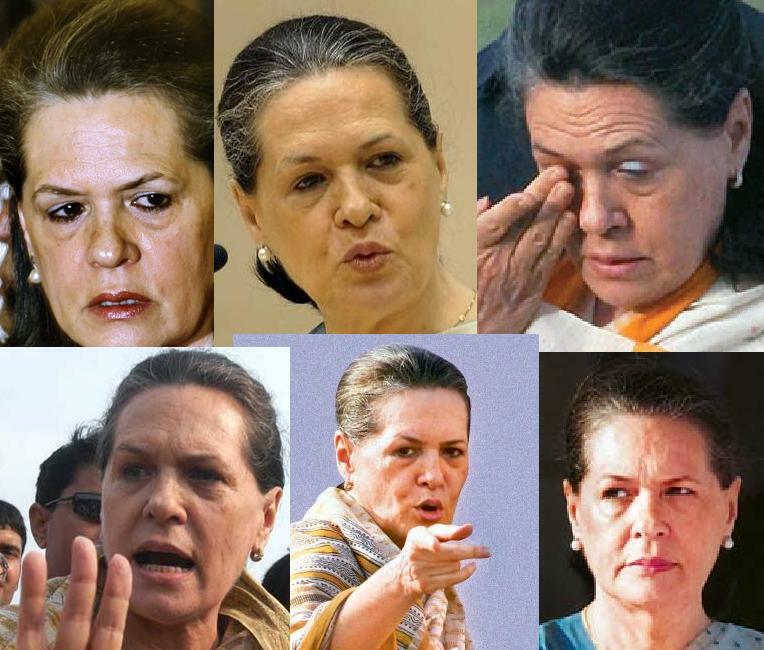 Some are now ministers in the Congress government, which was your arch enemy. Some of you fell by the wayside because so many of your colleagues died young. So, what went wrong? Prafulla Mahanta: Few of them joined other political parties because they changed their ideologies, and we lost one of our ministers—Nagen Sarma—in a bomb blast. Many of our ministers were kidnapped. Shekhar Gupta: Which one of your colleagues, your comrades, do you miss the most? Prafulla Mahanta: I miss Bhrigu Kumar Phukan and Lalit Rajkhowa the most. Shekhar Gupta: Was there also some loss of idealism because the AGP did not run a clean government? Many of your people were corrupt. Prafulla Mahanta: I’m not going to believe it. Few people made allegations against our 12 ministers and demanded that they should be dropped from our ministry. Then we sat down and we dropped them. But after that, a probe proved that they were not corrupt and allegations levelled against them were not correct and we inducted them again in our ministry. Shekhar Gupta: How are your successors now in AASU? Prafulla Mahanta: They run the organisation and I believe that they will be able to do something more for the state.